is this Sunday. Young Frankenstein by GFCT at Wood. 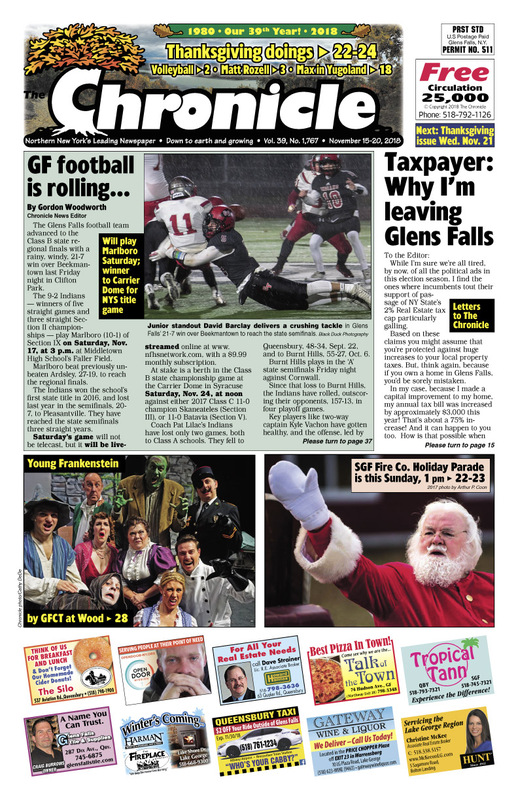 Taxpayer: Why I’m leaving Glens Falls. NYS Volleyball championships this weekend in Glens Falls. Film effort form Matt Rozell’s WW2 ‘Train’ rescue story. Escape at Dannemora TV movie on Showtime Sunday. Max travels again: Former Yugoslavia. Lots of Thanksgiving doings. Pages of real estate listings… Find your dream home! Concerts, comedy, shows… The Chronicle always has the region’s best Arts & Entertainment section!